Faith « Bull in a China Shop! Are you good in a crisis? Life is full of crises. Most of them you probably are reacting to and are not the cause of; someone hits your car, a baby in the family gets really sick, a bomb blows up at the finish line of a marathon. Most of those things you cannot prevent. You just have to deal with them. How do you handle it when you’re confronted with a crisis? Now, you can freak out, scream, and run when you are faced with an emergency or you can react in a way that helps those around you through the situation too. We certainly saw both reactions at the Boston Marathon bombing. My dad was exceptionally good in a crisis. He didn’t lose his cool. He thought clearly and gave good direction or advice. He didn’t let the emotion of the moment get him. He focused on the task at hand…getting through the crisis as best as possible. 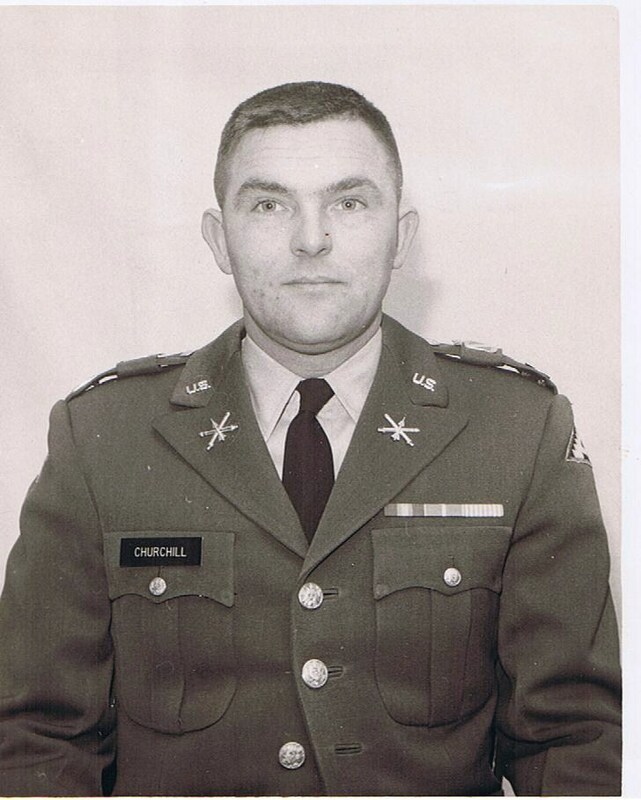 He was a U.S. Army officer and had successfully dealt with crises. The best way to do that is to process the steps you should take during a crisis when you are not in one. Emergency personnel have a checklist memorized as what to do first, second and third when confronted with an emergency. You can do the same thing too. Take time alone to think it out. When you have some type of physical crisis, like a car accident, what are the first 10 things you should do? Make a list before it happens, so that when it does you’re ready. If you have an emotional crisis, like a close family member, you love very much, is going through some very difficult situation. What is the 5 things you want to do so you’ll be able to think clearly and support them. What do you do in a spiritual crisis, like something has happened that you doubt God or your faith? Make a list. What do you do? …Pray, seek God’s word to you in His Word, seek out trusted counselors etc. I think Jesus was good in a crisis. During the torture before the cross and on the cross he was thinking about other people. He told John to physically care of Mary Jesus’ mother. He stopped to minister to emotional women who were crying because of the brutality. He cared spiritually for his torturers, which was evident when He asked God, the Father, to forgive them because they didn’t know what they were doing. Now obviously the cross was physically, emotionally and spiritually brutal, but Jesus had prepared as best as he could. I think the prayer in the Garden of Gethsemane was part of that preparation. So, during the crisis he was able to stay composed and focus on others. How do you take time to prepare for life’s crises? Please leave a comment and let us know. This morning my daily devotions took me to Acts 7. I always have a hard time reading this chapter. I would prefer to skip over it. It is about the martyring of Stephen. He is executed for his faith in Jesus Christ. He was a great guy. He cared for and helped widows in need. He was also full of the Holy Spirit and had a faith admired by many. Reading chapter 7 always is a downer for me. It’s hard to visualize his stoning for simply trusting Jesus as his Lord and Savior. As I finished reading the chapter and was reminded about a story I heard and was disturbed about a couple of days ago. Sayad Mussa is an Afghan Red Cross worker who is to be executed because he has become a Christ-follower. He has been in jail for several months now. No lawyer will represent him for fear of reprisal of representing someone who converted from Islam. He has been raped in jail because of his faith. He only has one leg because he lost the other to a landmine explosion. You can read the New York Times article here. I find it reprehensible, but not surprising, that American Christ-followers are dying in Afghanistan for the freedom of Muslims who would execute a Christ-follower for his faith. Please, pray for the release of Sayad from prison. Pray for his wife and six children who fled to Pakistan under the threat of persecution. Also, please contact your Senator and House Representative and ask them to intervene on behalf of Sayad Mussa. Every pastor I know wants to grow the church. Now they may say spiritually, but many are really just interested in numbers. That’s how they measure success. Church people think the same way. I got a call yesterday from a person that I met a few years ago. He just called out of the blue and asked if our church was growing. Let me be clear, I want many people to come to Christ. I want heaven full. But, Jesus commanded us to make disciples. The discipleship process is what’s important. I recently read, Nick Saban’s book, How good do you want to be?. One of the things he said was to not look at the scoreboard, but concentrate on what you were supposed to do. If you think about that it makes sense. If we do what we’re supposed to do the numbers will take care of themselves. So let’s be busy about the process of making disciples. It starts with you becoming a disciple and then helping others come to faith in Christ and grow in that faith. 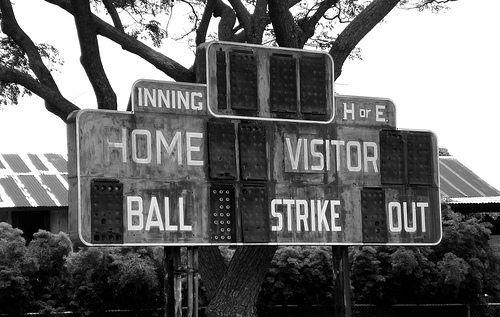 Let’s focus on our part, being and making disciples, and let God take care of His part, the scoreboard. I watched this video this morning. It shows kids who took part in the marshmallow test. They were put alone in a room with one marshmallow on a plate in front of them. They were told that if they waited for the tester to return without eating the marshmallow they would get another one. Some waited and got two. Some didn’t and settled for one. God is like that. Sometimes if we will wait he’ll give us the better option than if we just take what is in front of us. I’m a church planter. I started a church in Miami a little over 7 years ago. My ego has always been my battle in this church planting thing. I’ve battled with God. I’ve wanted a growing (in numbers) church and that simply hasn’t happened. It is not because we haven’t been reaching out to people who are far from God, because we have. I have learned the hard way that this is God’s church not mine. If it grows numerically, it’s because he grows the church. If it declines and we’re doing what we’re supposed to do then I must put that in his hands. He has other plans and other things to teach me and us. I just know that he is in control and he wants what is best for his church. I could settle for the one marshmallow, but that’s not his best. So I’ll persevere and wait on him for his best. I told my kids as they were growing up not to settle for second best when searching for a spouse but to wait for God’s best. The same lesson applies to our church. We must not settle for one marshmallow but for two. He’s growing our church the way he wants to. I must trust him in that. He’s got something great in store for us. What about you? Are you settling for one marshmallow or waiting for his best? I encourage you to persevere. His best is coming. Trust God who is sovereign. He knows what he’s doing in your life. Be patient. Endure. I’m reading a historical fiction book right now called, “To Try Men’s Souls.” I’ve read a lot of history books; mostly military history. I have enjoyed reading about the Revolutionary War and WW II. I’ve focused my historical reading in those two time periods. I’m not much of a fiction reader nor historical fiction. But, I wanted to lighten my load and get lost in a fiction book, so downloaded this book into my (soon to be defunct) Kindle. What the author paints so vividly is the utter desperation of the Continental Army by December 1776. You recall the Declaration of Independence was signed in July of that year. Then the Continental Army suffered a series of defeats and setbacks where they ended up being pushed south into Pennsylvania. They were so poorly supplied by the Continental Congress that many men had no shoes and some had, no kidding, not a stitch of clothing and it was the dead of winter. I’ve been cold before, but not THAT cold. In the midst of desperation, Washington boldly acted. 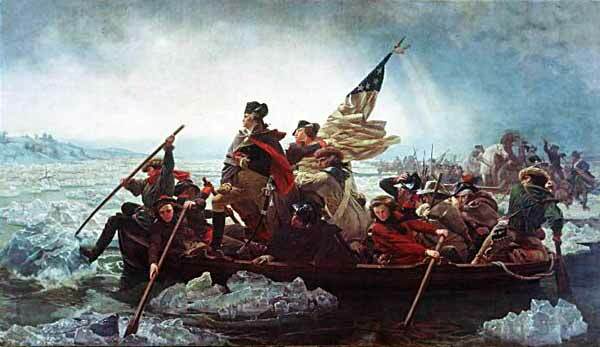 He crossed the Delaware River in a horrible winter storm at night and defeated the Hessians in Trenton, N.J. on Dec 26, 1776 with a ragtag Army that endured to victory. They had every right to give up (many of them did and fled). But those that held on and fought the good fight were victorious. That brings me to Paul’s words, “endure,” “fight the good fight of the faith.” Our sheltered Christianity in the U.S. can’t really grasp what this meant to it’s hearers. Timothy was pastoring a church suffering persecution. We probably don’t get it. But, in the intensity of it all Paul encourages Tim to endure and fight. I don’t know what you’re going through right now. But, as a good soldier of Christ, you have to endure and fight the good fight of faith. Don’t give up. You may have had set backs. You may be suffering greatly, but don’t give up. 1 Timothy 6:12-13a (NIV) 12 Fight the good fight of the faith. Take hold of the eternal life to which you were called when you made your good confession in the presence of many witnesses. 13 In the sight of God, who gives life to everything, and of Christ Jesus, who while testifying before Pontius Pilate made the good confession, I charge you. Take hold of this incredible life that God has for you. Fulfill the purpose He has for you. Don’t give up. 2 Timothy 2:3 (NIV) 3 Endure hardship with us like a good soldier of Christ Jesus. Just like the Continental Army had to focus on the prize, freedom, you too focus on the prize; a full eternal life in Christ. You can trust him to get you through whatever difficulty you experience. Paul said, 2 Timothy 1:12 (NIV) 12 That is why I am suffering as I am. Yet I am not ashamed, because I know whom I have believed, and am convinced that he is able to guard what I have entrusted to him for that day. Hold on. Endure! He will get you through this. He is faithful. You will experience victory in your life!